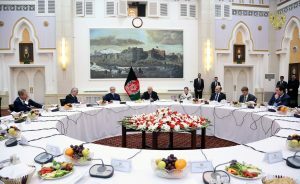 The UN Security Council undertook a visit to the Islamic Republic of Afghanistan from the 13th to 15th of January 2018 for the first time since 2010. The visit was an opportunity to reiterate the Security Council’s support for the Government and people of Afghanistan and their efforts to restore peace, stability and progress to the country. The visit was organized by Kazakhstan which holds the Presidency of the Security Council in January 2018, in coordination with UNAMA in Kabul and the Permanent Mission of Afghanistan to the UN. Ambassador Kairat Umarov, the Permanent Representative of Kazakhstan to the UN, was accompanied on this trip by representatives of the United States, Russian Federation, China, France, United Kingdom, Kuwait, Kingdom of the Netherlands, Poland, Sweden, Peru, Plurinational State of Bolivia, Côte d’Ivoire, Equatorial Guinea and Ethiopia. Also, accompanying the delegation was Mahmoud Saikal, Afghanistan’s permanent representative to the United Nations. 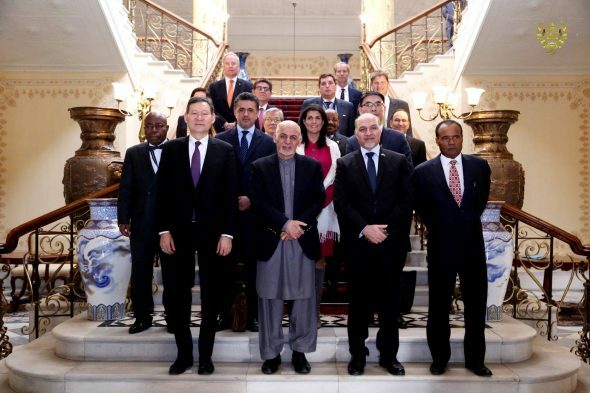 During the visit to Kabul, the delegation held meetings with President Mohammad Ashraf Ghani, Chief Executive Abdullah Abdullah, Second Vice President Sarwar Danish, Foreign Minister Salahuddin Rabbani, National Security Adviser Mohammad Hanif Atmar, Director General of the National Directorate of Security, Masoom Stanekzai, and other senior officials, including the Ministers of Defense, Interior, Finance, Justice, Agriculture, Rural Rehabilitation and Development, Economy, Trade and Commerce, Transportation and Aviation, Public Works and the Chairman of the High Peace Council. 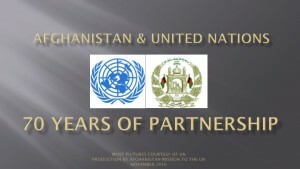 They Security Council delegation also met both speakers of parliament, women’s NGOs, civil society organizations, representatives of political parties and the electoral management bodies, as well as the leadership of the United Nations Assistance Mission in Afghanistan (UNAMA) and NATO’s Resolute Support Mission. Discussions focused on the political, security, socio-economic and human rights situation in the country. Council members reiterated their support for the Government’s reform initiatives, in particular to counter corruption and accelerate regional cooperation. 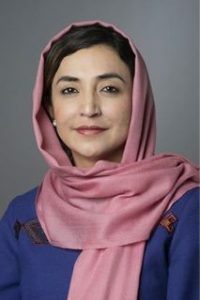 They expressed concerns about the security environment in Afghanistan, including the presence of Taliban, Al-Qaeda, and Da’esh-affiliated fighters, as well as about the nexus of terrorism and organized crime. All parties reiterated the need for greater international and regional security cooperation. 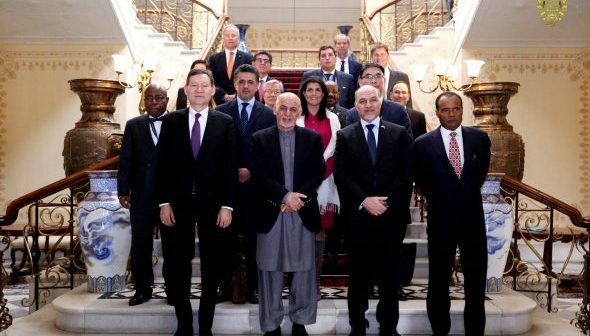 Both Security Council members and Afghan officials called for improved cooperation and coordination in the region, underscoring the need for the international community, particularly neighboring countries, to support and cooperate with Afghanistan, especially in countering terrorism.